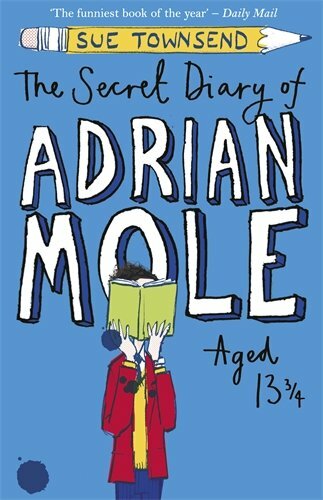 The Secret Diary of Adrian Mole Aged 13 ¾ is the first book in Sue Townsend's brilliantly funny Adrian Mole series. Friday January 2nd I felt rotten today. It's my mother's fault for singing 'My Way' at two o'clock in the morning at the top of the stairs. Just my luck to have a mother like her. There is a chance my parents could be alcoholics. Next year I could be in a children's home. Meet Adrian Mole, a hapless teenager providing an unabashed, pimples-and-all glimpse into adolescent life. Writing candidly about his parents' marital troubles, the dog, his life as a tortured poet and 'misunderstood intellectual', Adrian's painfully honest diary is still hilarious and compelling reading thirty years after it first appeared. Bestselling author Sue Townsend has been Britain's favourite comic writer for over three decades. 'I not only wept, I howled and hooted and had to get up and walk around the room and wipe my eyes so that I could go on reading' Tom Sharpe 'A satire of our times. Very funny indeed' Sunday Times 'We laugh both at Mole and with him. A wonderful comic read, that, like all the best comedy, says something rather meaningful' Heat Sue Townsend is Britain's favourite comic author. Her hugely successful novels include eight Adrian Mole books, The Public Confessions of a Middle-Aged Woman (Aged 55¾), Number Ten, Ghost Children, The Queen and I, Queen Camilla and The Woman Who Went to Bed For a Year, all of which are highly acclaimed bestsellers. She has also written numerous well-received plays. She lives in Leicester, where she was born and grew up.